Natural gas, and hence LNG, is very suitable for reciprocating engines and as such offers a cleaner alternative to fuel oil and diesel. In particular, projects concerning combined heat and power generation benefit from LNG as a fuel. Many industrial sites and residential areas have a need for both heat and power at the same time. Traditional centralized or stand-alone distributed power generation achieve an electrical efficiency of just over 30%. Simultaneously, traditional boiler-based and local heat production solutions achieves inefficiencies of around 80%. The overall fuel efficiency of these standalone power and heat generation models together typically arrives at no more than 50% or so due to the inevitable high heat losses during power production and transmission. Reuse of heat from power production would offer significant efficiency gains. However, centralized power generation often does not allow efficient reuse of heat. Moreover, it doesn’t address the transmissions losses either. On the other hand, a local combined heat and power (CHP) generation solution does just both. As a result, the overall fuel efficiency increases to as much as 75-80%. Therefore, most European countries have support schemes in place to promote CHP solutions. Emission regulations for CHP installations are getting more restrictive. LNG, as the cleanest fossil fuel can help CHP installations that do not have access to pipeline gas to meet these emission regulations. LNG has a very high knocking resistance compared to LPG. As a consequence there is no need to de-rate the engine capacity as is the case for LPG. The use of natural gas-fired CHP is actively promoted by European, national and local governments through investment grants and guaranteed feed-in tariffs. 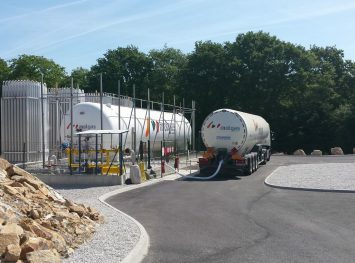 With the rapid expansion of the LNG infrastructure in Europe, LNG based CHP solutions become increasingly attractive. Whereas, CHP solutions based on natural gas have traditionally been limited to areas covered by the natural gas grid, LNG helps opening up new off-grid markets. 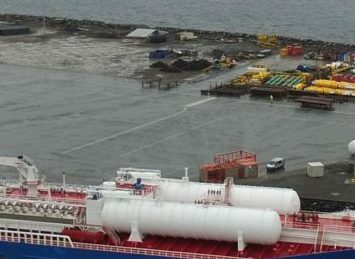 In a way, LNG provides a virtual natural gas grid connection. 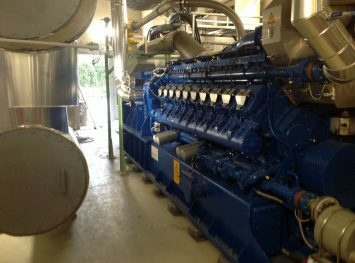 In Spain and France, numerous LNG powered CHP solutions are operational today. Our group can offer a cost competitive and comprehensive LNG solution for CHP installations. 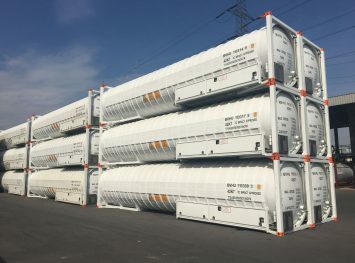 We take care of the entire LNG supply chain including sourcing and loading at the LNG import terminal, transport by road, rail and sea, on site storage, re-gasification and delivery at the flange to the CHP installation.